To run a genre magazine in Romania is no easy task. I think it’s no easy task no matter the location of such magazines, but it seems that our speculative fiction periodicals face more obstacles than what it is the usual, especially when we are talking about professional magazines. Then, it is more the joy when such a periodical celebrates its 10th appearance, as Argos Magazine did with its winter 2014-2015 issue. 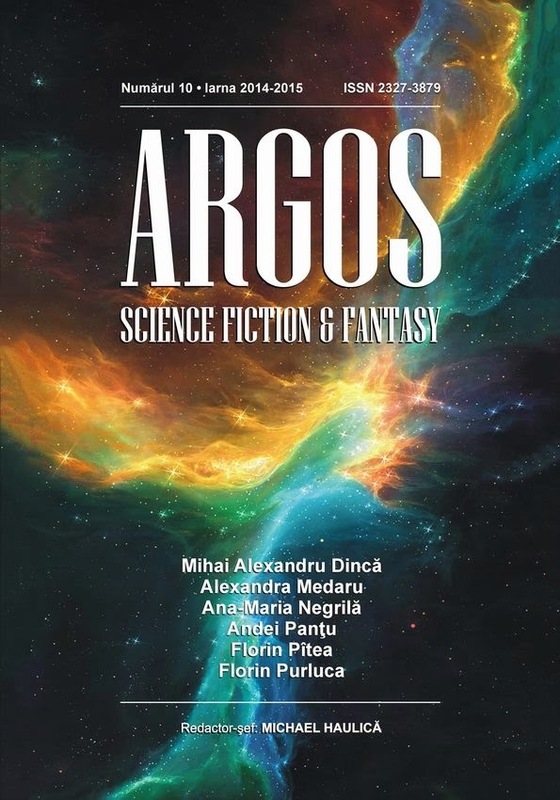 Born almost two years ago, with the first issue published on April 2013, Argos Magazine started with the desire of supporting the fantasy and science fiction Romanian literature, the objective of discovering and promoting both the new and old local genre writers, by interviewing them, publishing and promoting their works, all done and compensated at a professional level. So far, Argos Magazine met its objectives wonderfully, as it can be easily seen through all their ten issues released so far. The latest comes with the same assortment of editorials (both excellent articles on the state of Romanian fandom, events, conventions and awards), reviews of two Romanian genre titles, an interview with Florin Pîtea (one of the most active figures of the local speculative fiction) and a new haul of short stories. Better still, all these are not only available in Romanian, but in English as well, so if you fancy a taste of what we have to offer when it comes to speculative fiction you can head to Argos Magazine's website and grab a sample from there. I hope you’ll enjoy it, as I hope that Argos, and other such magazines, would live to celebrate at least 100 appearances. Thank you very much, Mihai. You're always so kind. It is my pleasure, Michael! And thank you very much for all your hard work.